The last article I published was not here but on my good friend Giles Hutchins’ blog The Nature of Business. The article is titled The root cause of our dis-ease is how we engage with life. Giles asked me to write about how I use the four elements of earth, water, air and fire to discuss the four qualities of thinking. On Tuesday Maria went to a major conference in São Paulo on sustainability and metrics, and she told me that one of the biggest discussions was around the different ways of conceptualising sustainability and problems relating to the communication of these ideas, since so many people thought in different ways. For me one of the problems we have, and I see this in people who teach and write about sustainability, and indeed many other areas as well, is that people’s actions do not often match their words. People talk about being sustainable and about making changes, and the need for new ways of thinking, and yet these same people do not seem to have made the leap aver the threshold into genuinely new paradigms. (I am loathe to use the work paradigm as it seems to be now totally overused and no longer seems to refer to any authentic form of transition of consciousness and thinking). The strategy of aiming to reduce problems can be switched to reversing them with ‘positive development’. Less bad is not good enough. Education can inspire a culture of joined-up thinking and engagement by switching from predetermined to curiosity-led learning. Economic growth can be switched from consuming the basis for further growth to building it by correcting markets with ‘precycling insurance’. Rapid global disarmament can be launched by switching from Gross Domestic Product to ‘Gross Peaceful Product’, that omits weapons-related transactions. 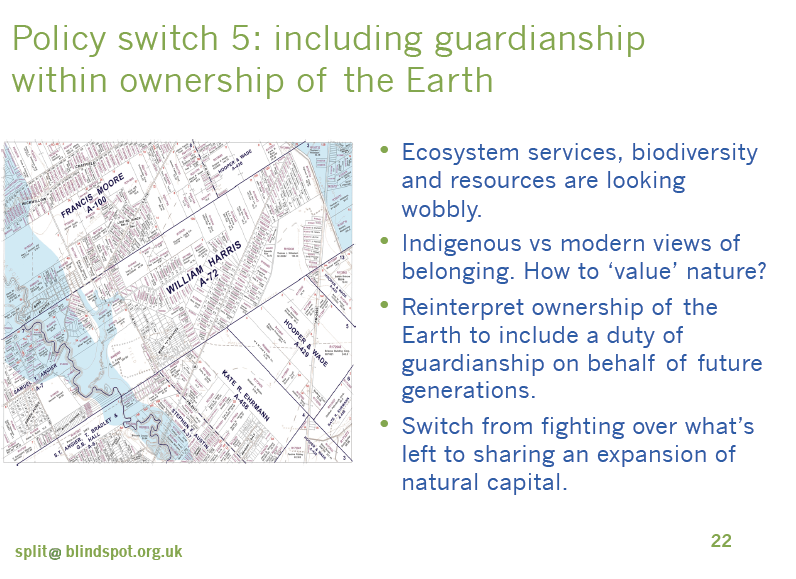 Exploitive commodification of the Earth’s surface can be switched to guardianship by international treaty that interprets ownership in terms of responsibility to future generations. Surplus accumulations of financial wealth, which would be wiped out by the planet crunch, can be switched by the wealthy into investments that secure all forms of wealth. Global financial stability can be regained by switching money creation from the private sector to central public authorities and local currencies. The full paper and slides from the presentation can be downloaded here. What was really excellent to see was the depth of change of mental model required to really make the transition to comprehending our world as non-linear. I had a short twitter discussion with James today, the author of the paper, as he had mentioned the word economism in one of his tweets. I missed the context, but butted in rudely and just said that the word to me sounded like a form of delusion in the form of a belief in infinite growth on a finite planet. Hence James sending to me his material, which is excellent. I particularly liked point five, which discusses the move to seeing ourselves as consumers to ones of guardians. This word guardianship has a real resonance for me. In 2004, myself along with 13 friends undertook a journey around the south west of the United States, culminating in a visit to the Hopi Reservation at Palookaville, where we had the honour of meeting Grandfather Martin Gashweseoma, a Hopi elder and keeper of the prophecy stones. The Hopi people see themselves as the guardians of mother earth, and it was deeply moving to be taken around the reservation and sacred sites by Grandfather Martin, and then be taken back to his humble home where we did a ceremony for peace. 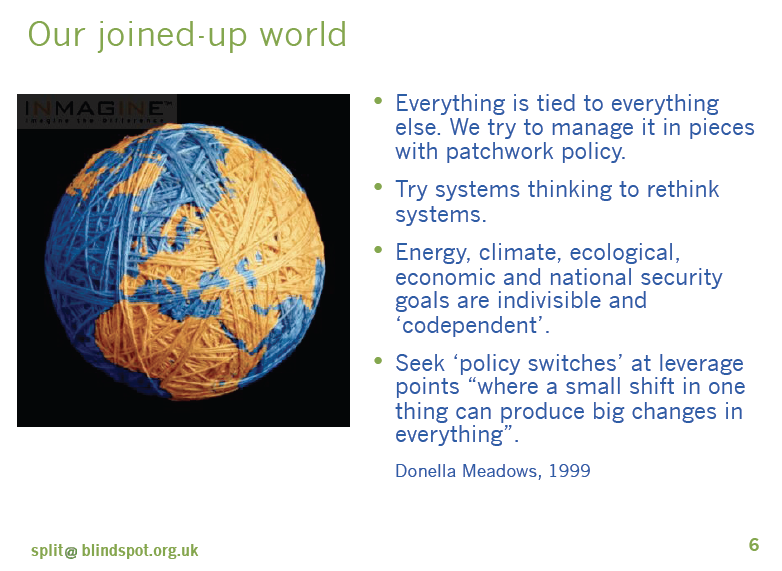 I think these seven policy switches are excellent and a wonderful summary of the pivots we all need to undertake to make the move into a world where we are comfortable and can embrace non-linearity. But it will take a journey of transition too, journeys which will take many different forms. May you all enjoy your trip. Thanks Simon, super blog and article. Maybe now that someone describes the 7 switches as NATO’s, they will get around to reading them! The Hopi people are right; if we learn from them we may proceed as a civilisation. Actually it’s tougher than that. Collectively we would need to implement all 7 switches, since they’re interlocked. And all 7 are currently veiled behind a metaphor of transition as a journey of steps. We make the complexity feel manageable by taking on small pieces of it (and making heartfelt wishes about the whole) with the result over 40 years of no overall transition. 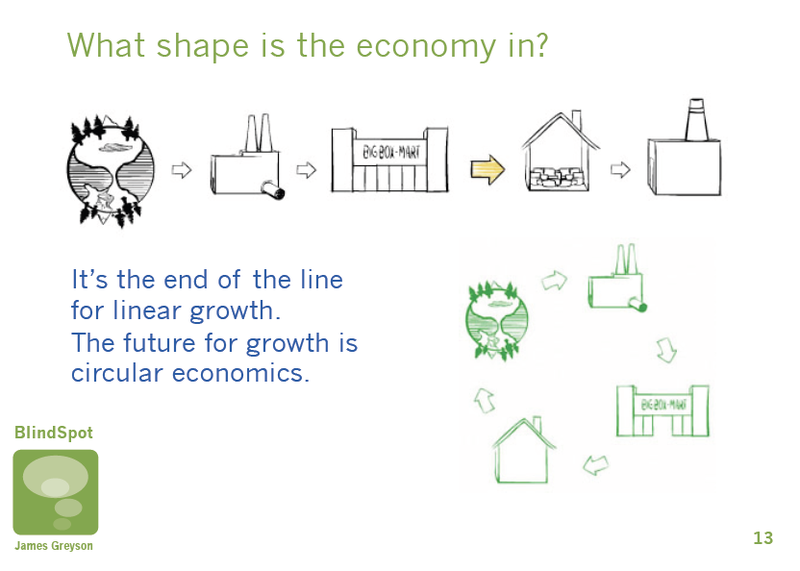 For example, an anti-growth position has become an organising principle or template for the green movement. Yet the 7 switches are not just problem-solving policies, they’re also a recipe for economic revival. Do you think the movement can take on ideas that don’t fit the template? These are big questions and ones not easily resolved. I would not presume to have all the answers, but I do like the New Economic Foundations latest thinking on re-thinking the concept of money, and their new concept of “Energising Money”.